You know what’s great any time of the year? 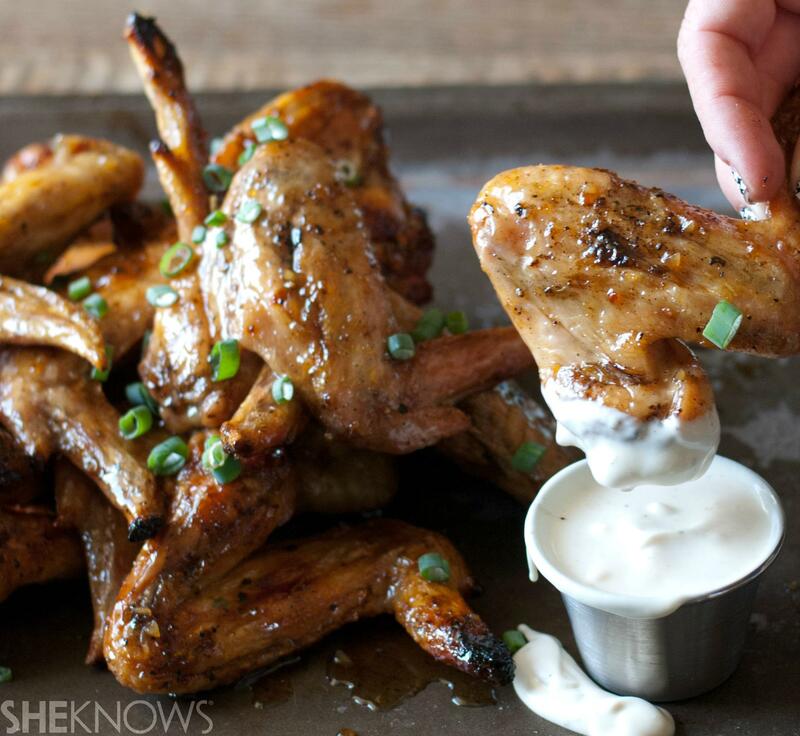 Sticky, messy, addicting chicken wings. And you don’t even need to head to the nearest Wing Stop to get a finger-licking good batch of juicy wings, either. 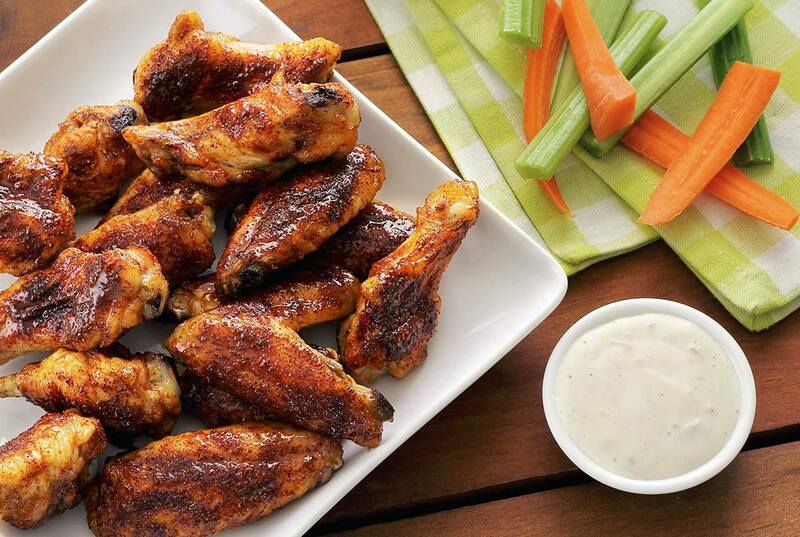 Whether you’re a dry rub or a glaze fan, making chicken wings from home is simpler than you think. For many recipes, it merely requires throwing the wings into an oven and letting them bake to get as crispy a texture as you’d like. 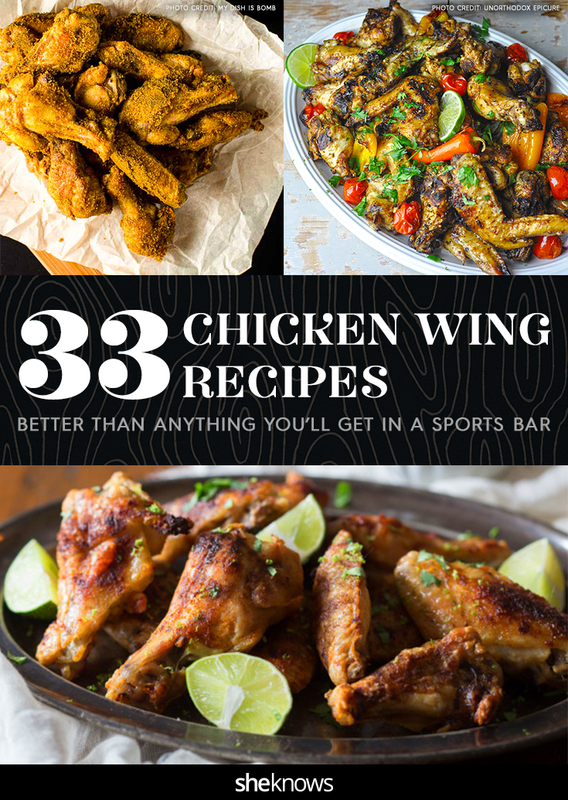 Just for you, we’ve rounded up 34 irresistible chicken wing recipes in nearly every flavor imaginable. Ever have orange soda hot wings? No? Find the recipe in this list and get to it. 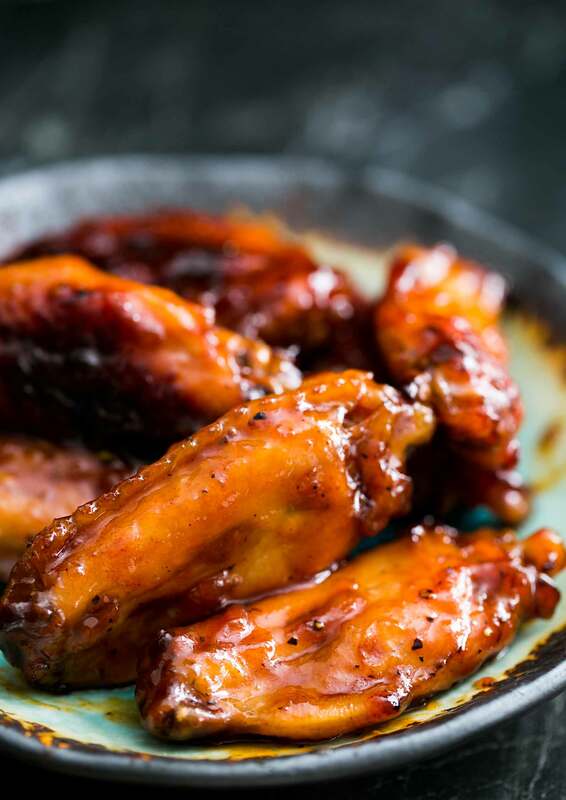 You’ll also find tried-and-true classics with a tasty twist, like bourbon-maple wings and chipotle-honey wings. Are you ready? Have a whole roll of paper towels nearby — you’re going to need them. Here's one you've likely never tried before: a mango-habanero glaze made with mango-habanero salsa and peach preserves. 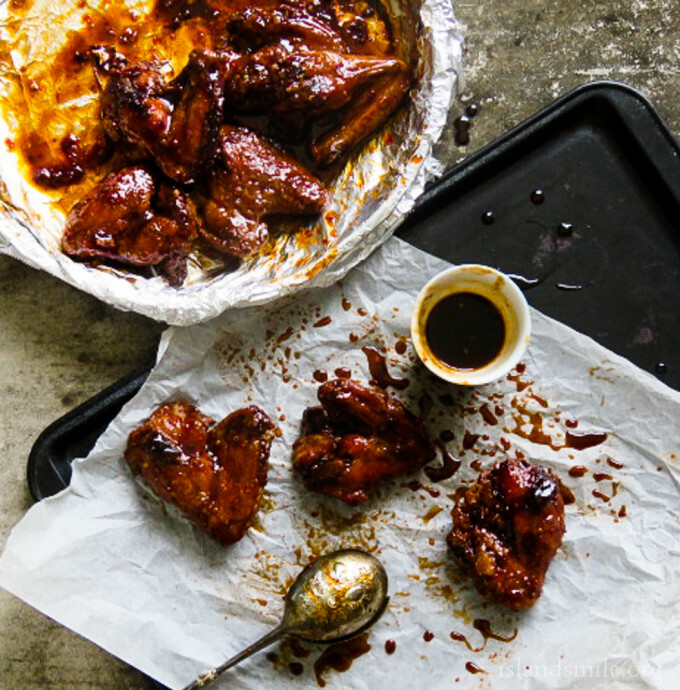 Sweet maple and smoky bourbon hit these wings out of the park. 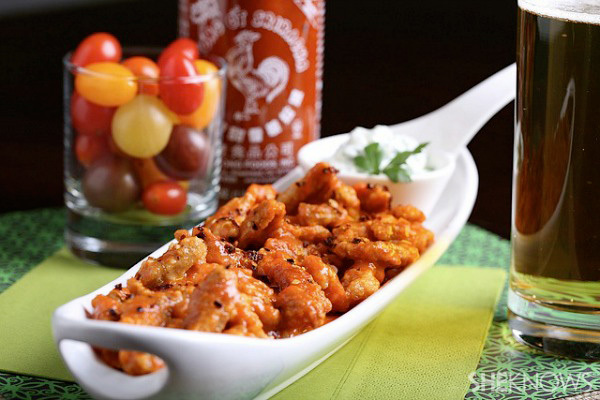 Curb your cravings for takeout and wings in one go with this delectable recipe. 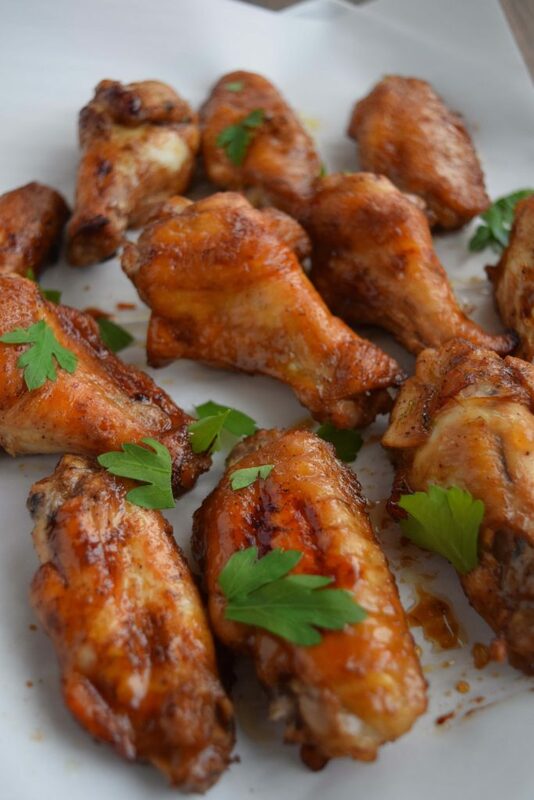 Spicy and sweet, these chipotle-honey chicken wings are sure to be a crowd-pleaser. 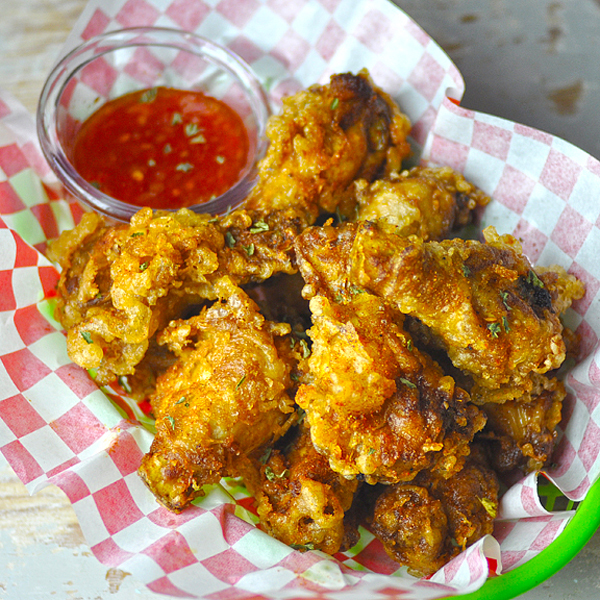 Make it rain salt and pepper on these crispy chicken wings. 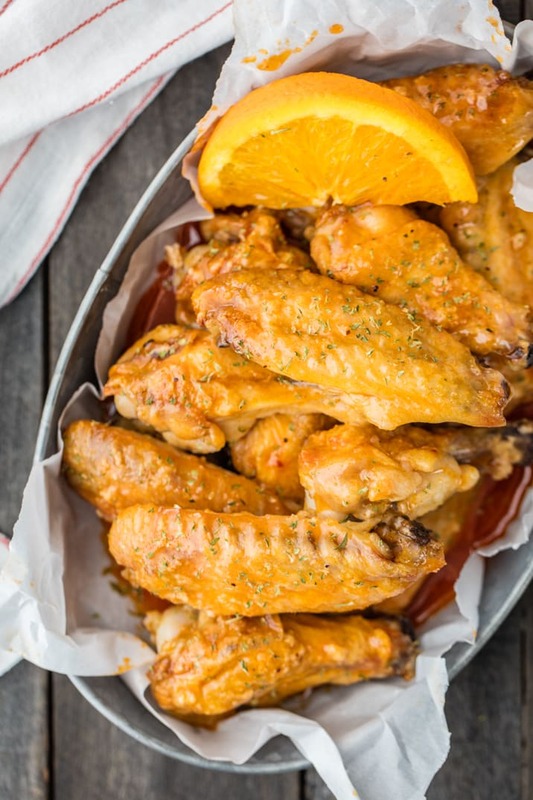 Orange soda gives these hot wings a flavor boost that will leave your guests begging for seconds. 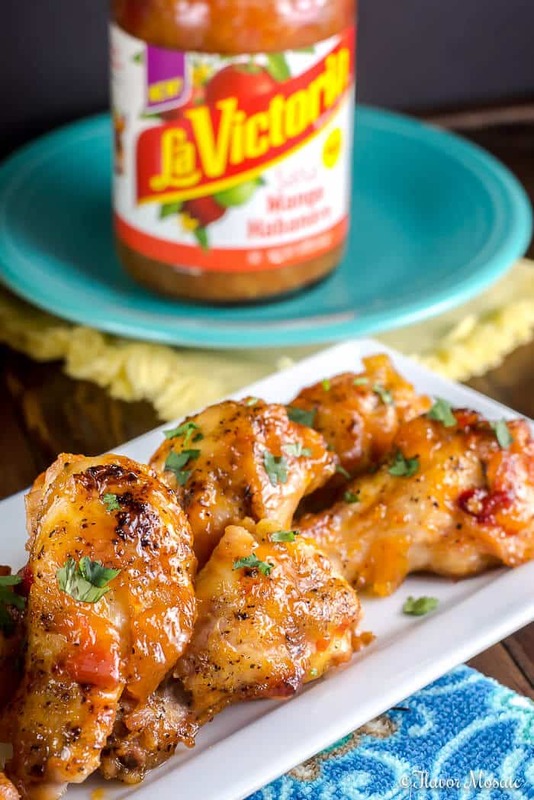 Hatch chili sauce adds flavor unlike any other to these hot wings. 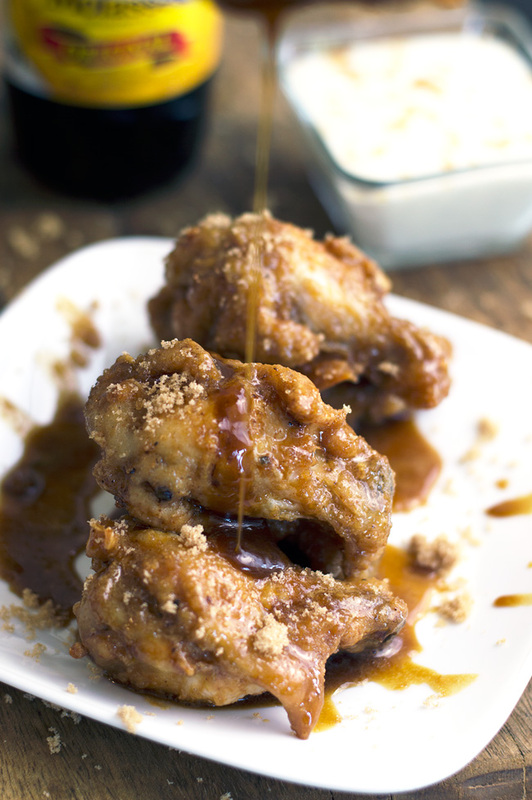 Lovers of sweet wings will go gaga over these, glazed with two types of sugar, molasses and honey. 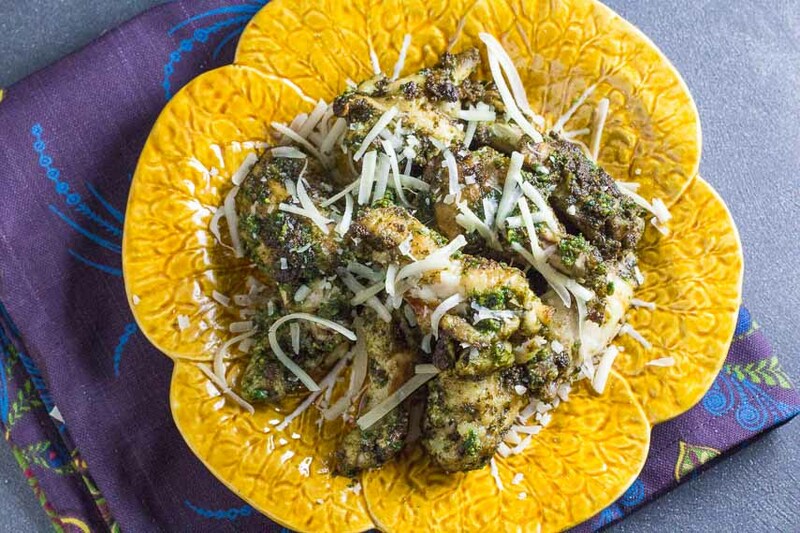 You've never had pesto chicken wings, you say? Start with this recipe. 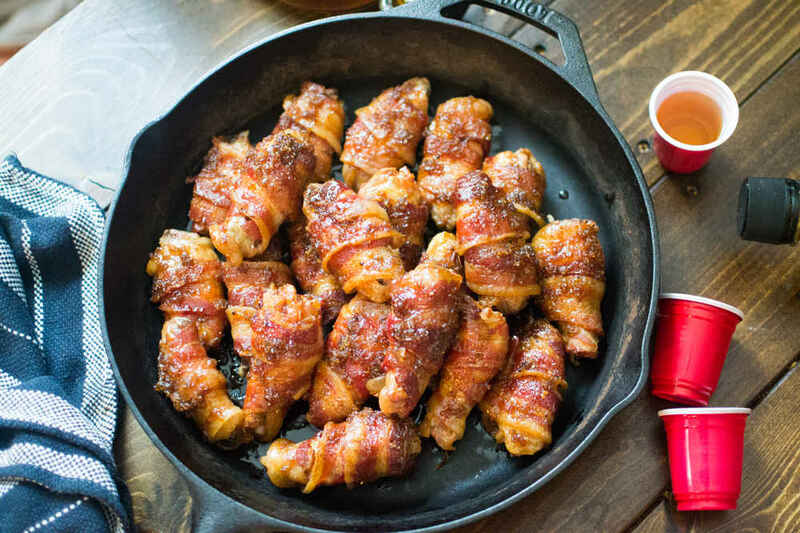 Wrap anything in bacon and it'll be delicious, including these whiskey wings. 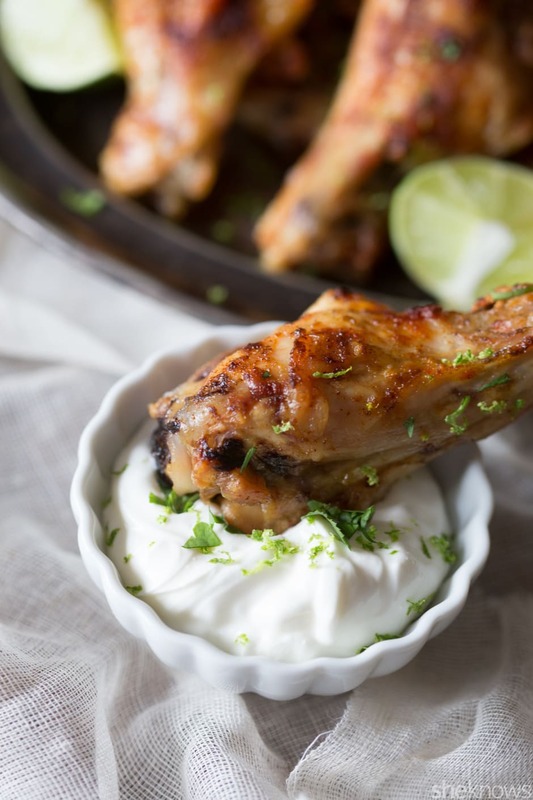 A crispy seven-ingredient batch of chili-lime baked chicken wings? Count us in. 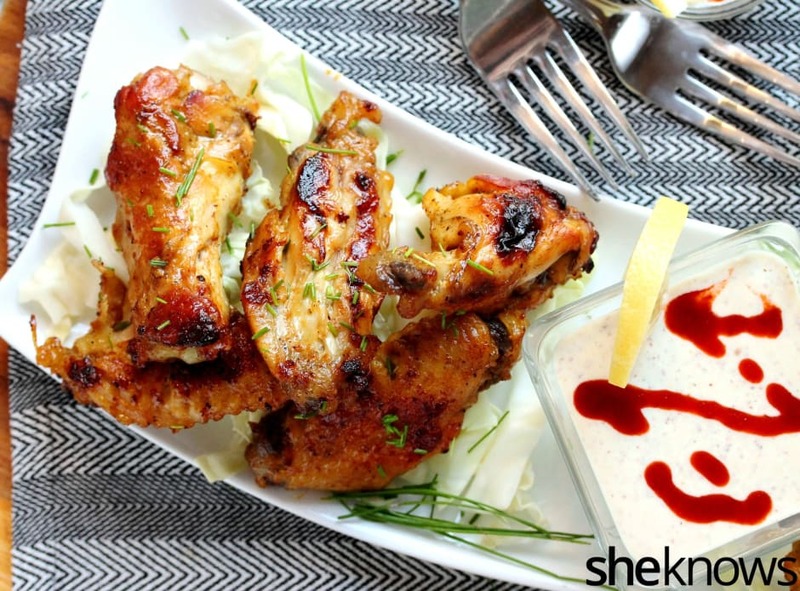 Simple spiced chicken wings are ideal for the purists at your Super Bowl party. 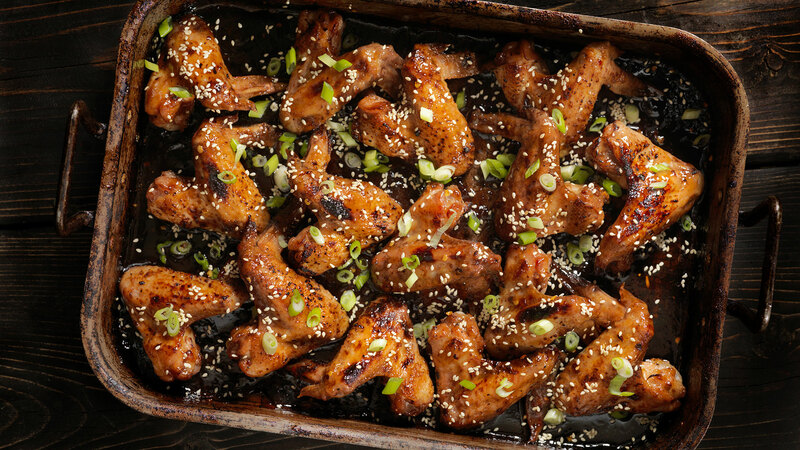 Soy-ginger wings baked to a crisp will be loved by all — but you might want to keep them all to yourself. 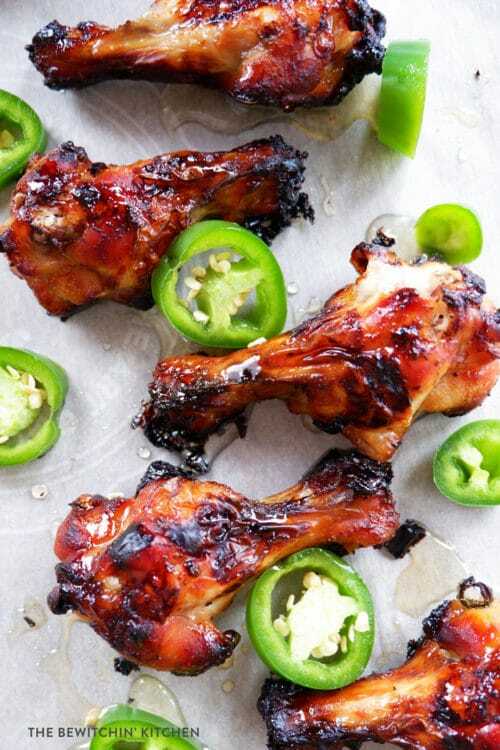 Sweet and tangy tamarind wings are a fun change from the usual barbecue. 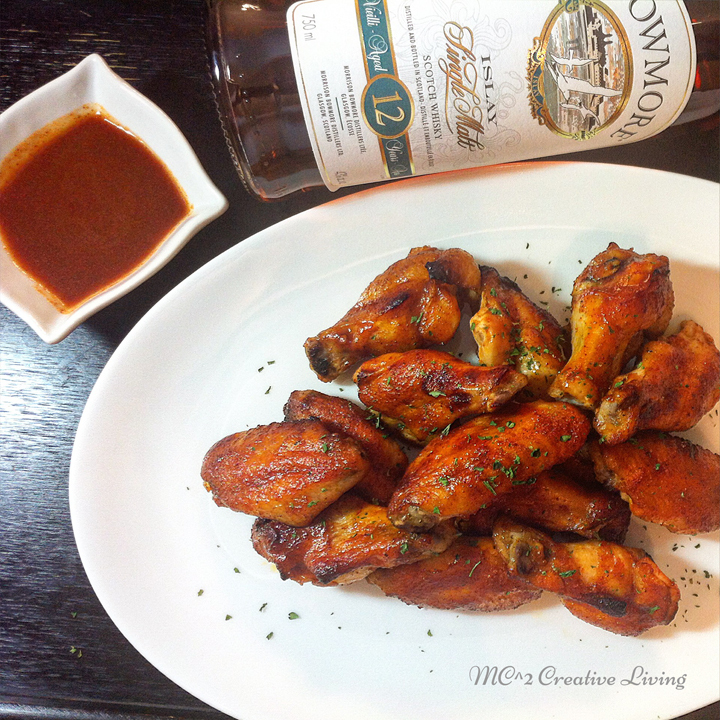 Smoky Scotch whisky and barbecue sauce make these wings taste like they’re straight off a wood-fired grill. 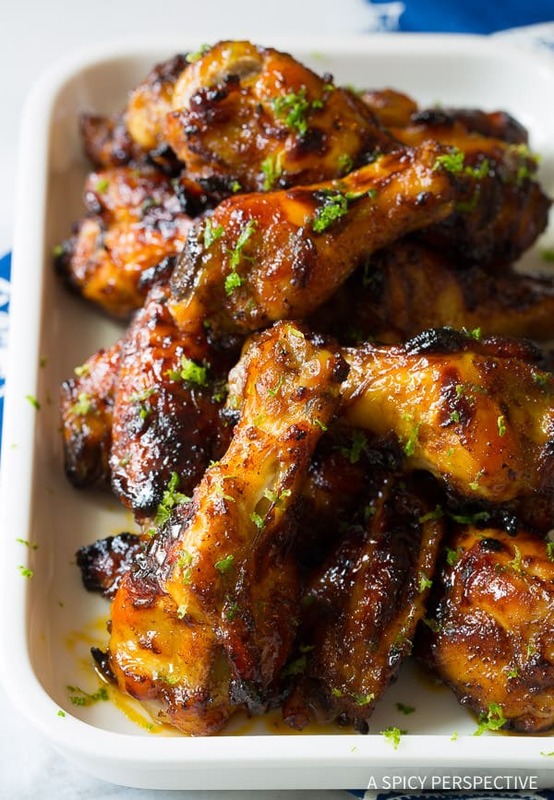 Peach barbecue sauce makes these wings taste like summer. "Sweet" and "heat" are all you need to hear to know these wings will be delicious. Image: My Dish Is Bomb. 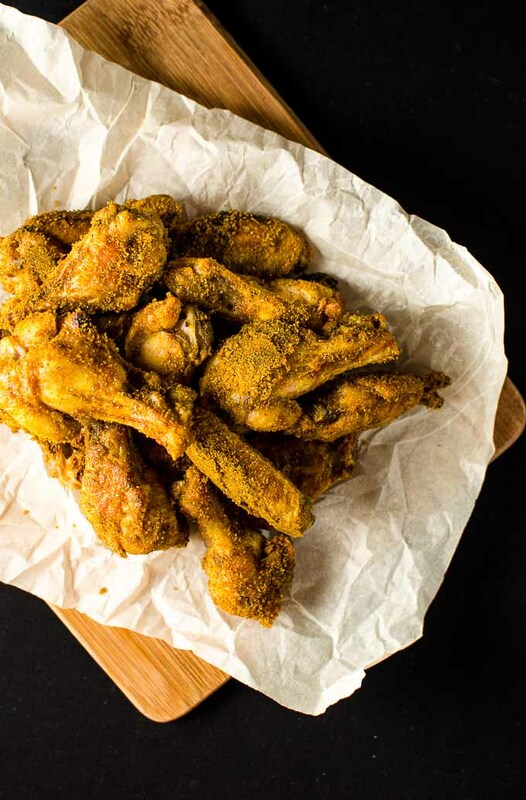 The fragrant curry-brown sugar rub coating these wings will have you licking your fingers. Image: The Woks of Life. 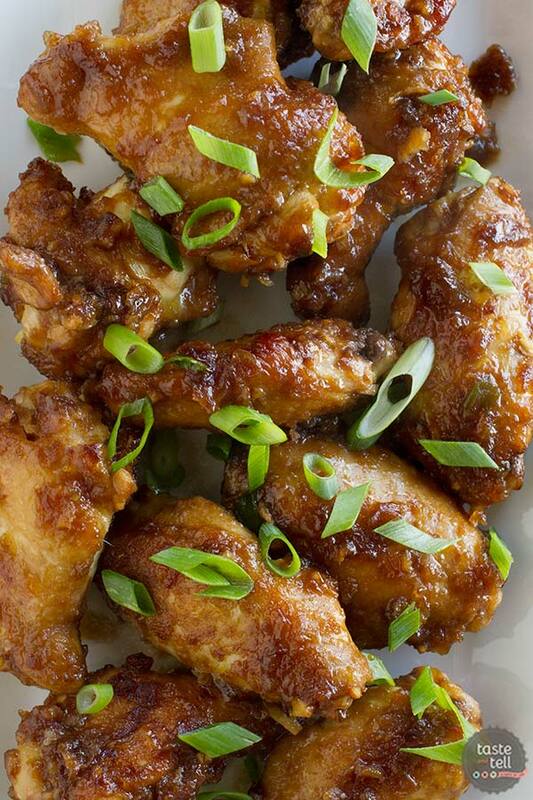 Crispy and golden, these takeout-style chicken wings practically melt in your mouth. 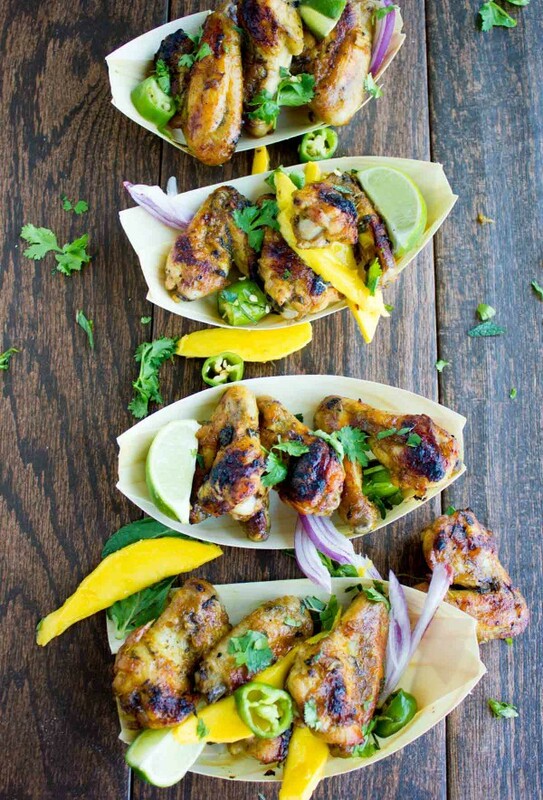 Fragrant and spicy, these lemongrass wings will become a fast favorite. 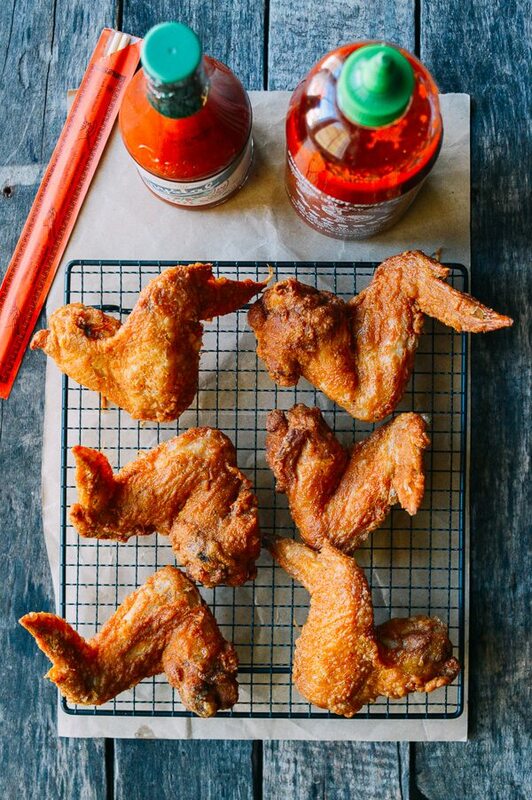 Utterly crispy and decadent, these fried chicken wings are worth the extra calories. 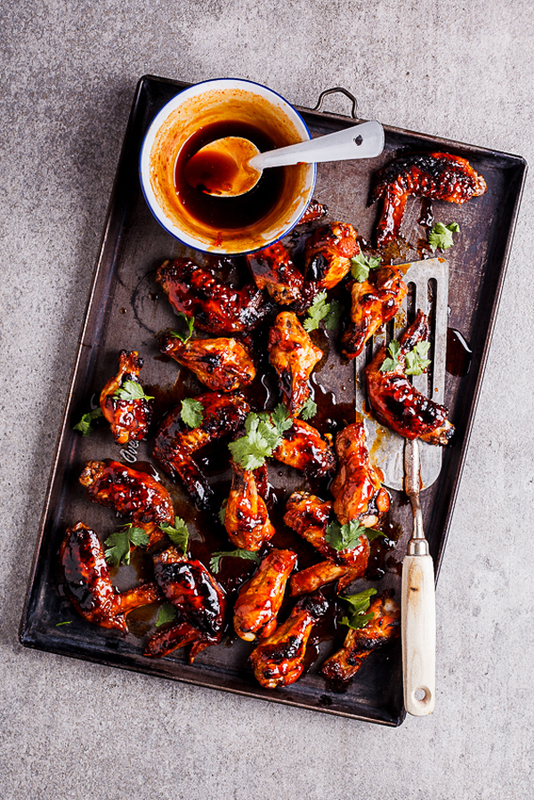 Burnished honey-sriracha wings will get your spirit up no matter which way the big game swings. 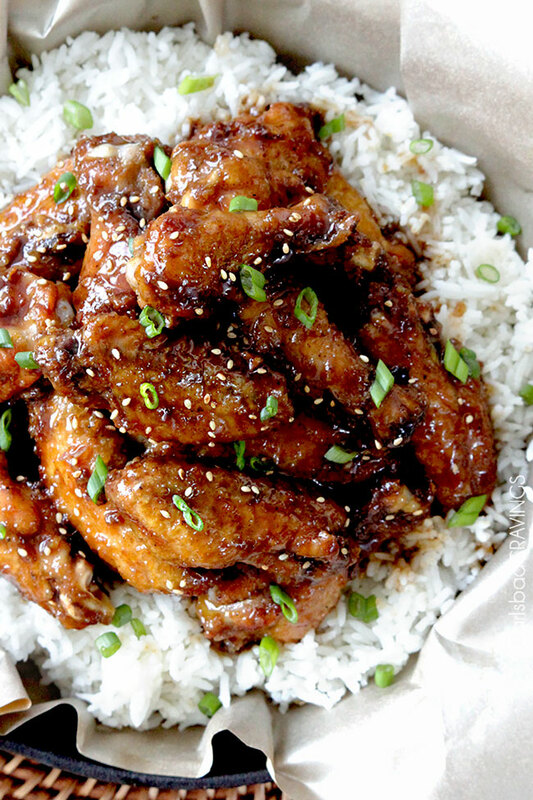 It's surprisingly easy to make these sweet and sticky orange chicken wings thanks to orange marmalade. 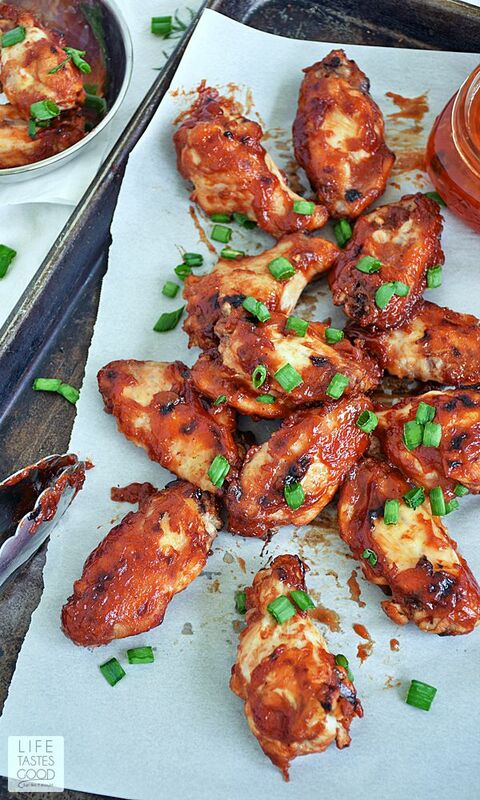 Spicy and sweet, you can't go wrong with these jalapeño-honey chicken wings. 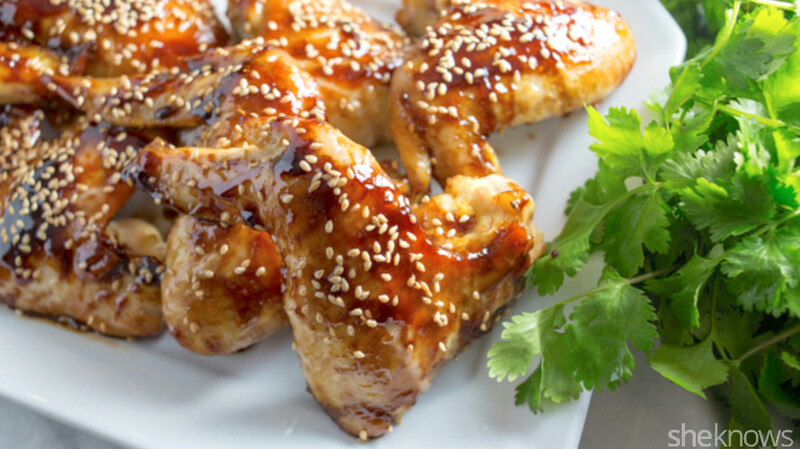 Sweet and tangy teriyaki drumettes will please any crowd. 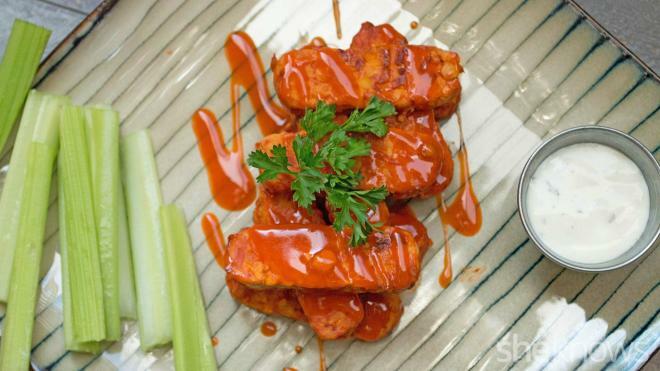 Vegetarians will love these fiber- and protein-rich tempeh Buffalo "wings." These take a little work, but the result is vegan wings that are almost indistinguishable from the real thing. Image: Let the Baking Begin. 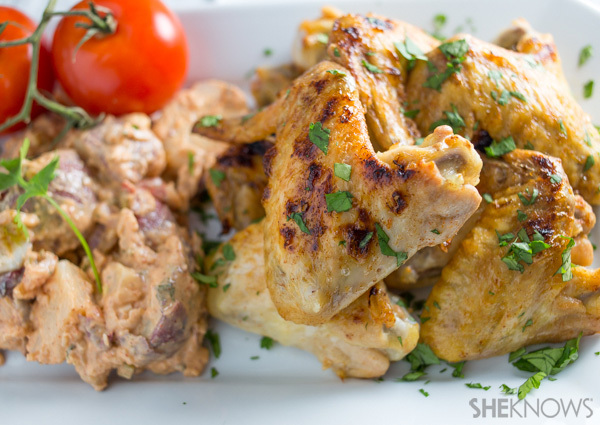 You're going to want to make these garlic-ranch chicken wings one 5-pound bag at a time. 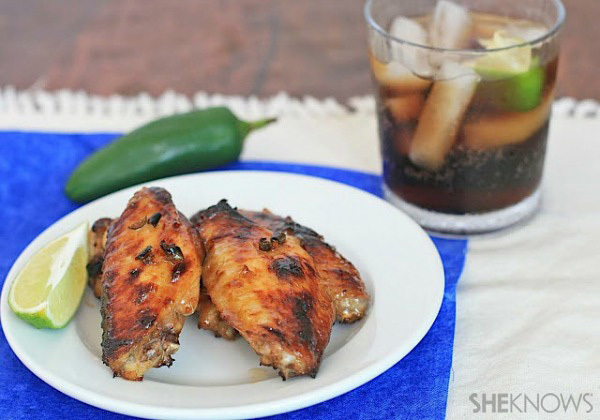 Sweet cola and spicy jalapeños make these chicken wings hard to put down. 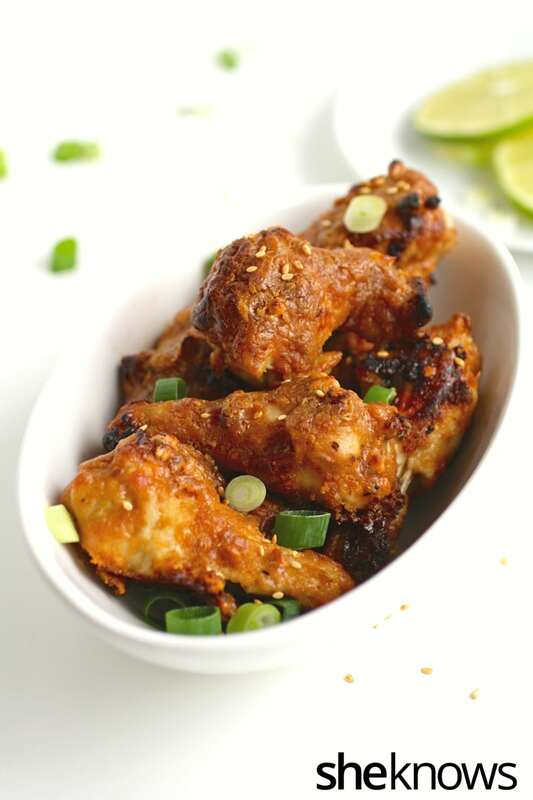 Coconut milk, peanut butter, chilies, honey and soy are just the beginning of these epically flavorful Thai wings. 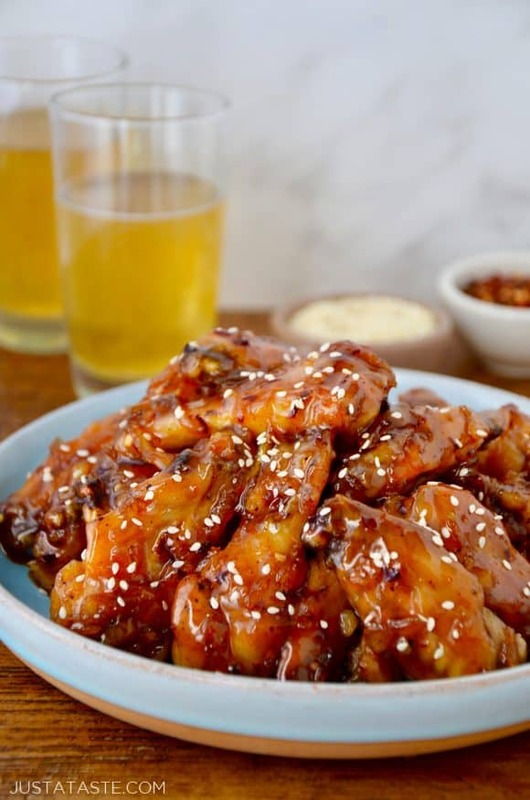 Tangy honey mustard and a Sriracha-horseradish dipping sauce make these wings a must-try. 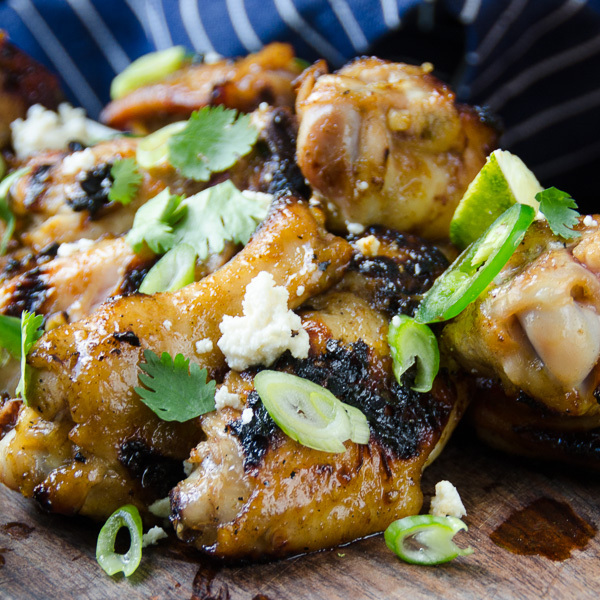 Smoky, sweet and spicy, these grilled wings are a snack you won't be able to stop eating. 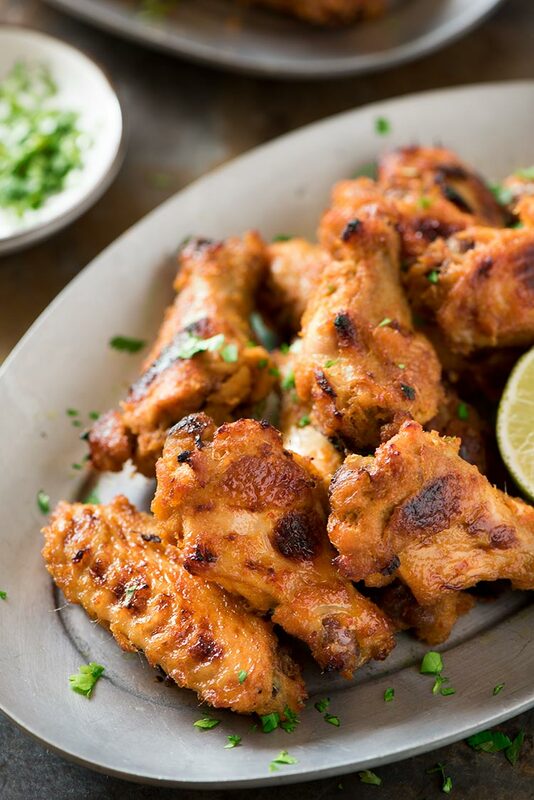 Cilantro-lime wings and a matching dipping sauce are the perfect pair to wash down with some Coronas. 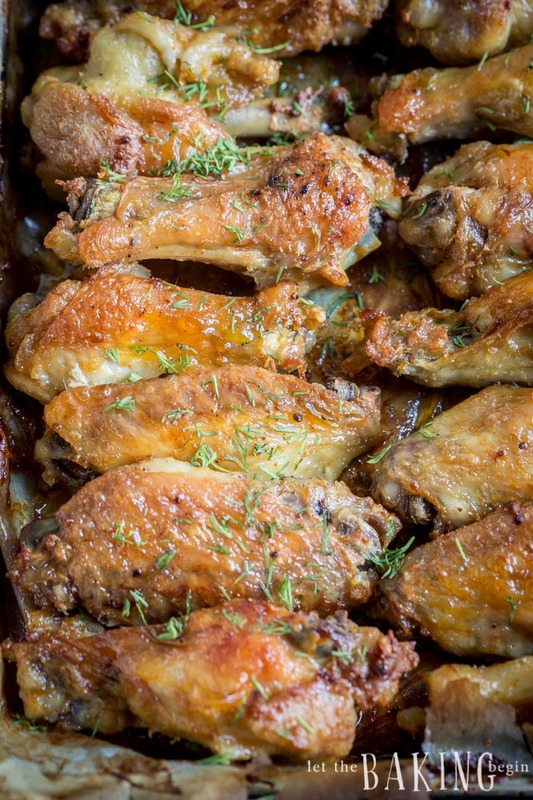 These baked five-spice wings are so easy you have no excuse not to make them. 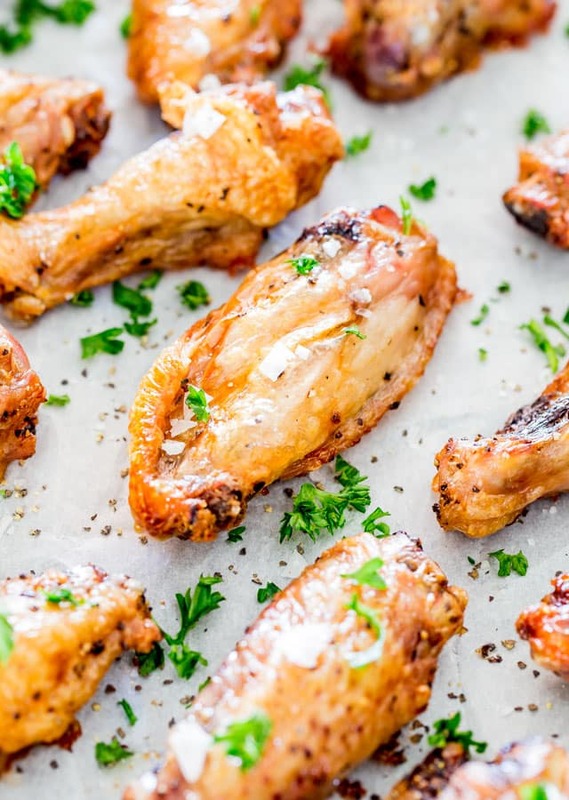 Save these droolworthy chicken wing recipes for later.